This is the beginning of months of temptations for both young and old alike. 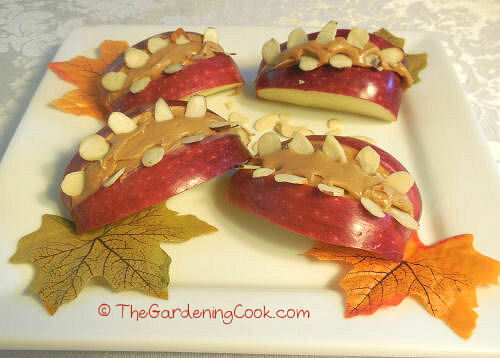 Why not tempt your child with one of these healthy apple treats instead. 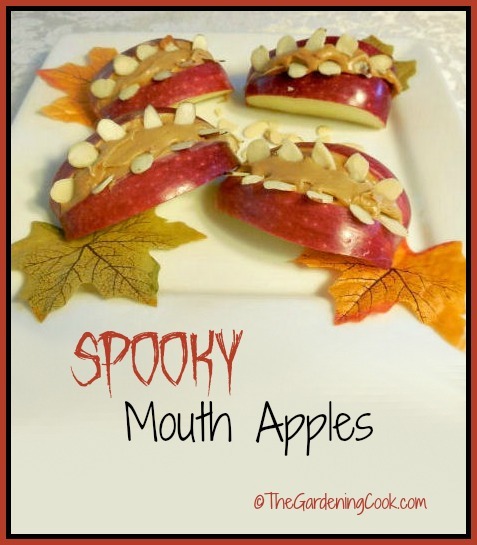 Kids love peanut butter all the time and these spooky treats will make the snack even more tempting. The treats will still appeal to them, since they have a spooky look, but all the ingredients are healthy and they will love them! To do the treats you will need these supplies: Choose apples that have a nice shape. You will want them to look like lips when you quarter them. Quarter the apples and remove the core piece and sprinkle them with lemon juice so that they do not darken. 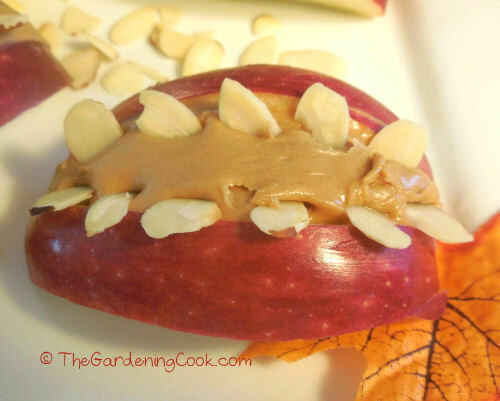 Remove a wedge from the center and fill it with peanut butter. Add the slivered almonds for teeth. Don’t worry if they are all not even pieces. That adds to the gory look of the treats. Enjoy! Quarter the apple and remove the core piece. Sprinkle it with lemon juice. Cut out a wedge to make a lip shape. 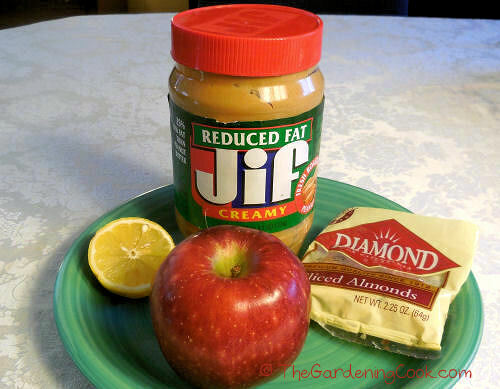 Fill the opening with peanut butter.